Two-time Pulitzer Prize winner W.S. 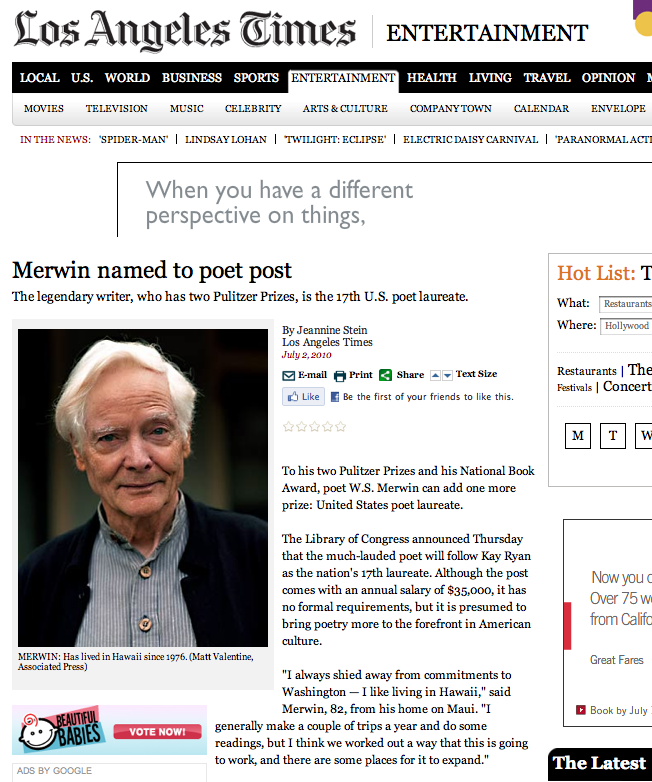 Merwin was today named United State Poet Laureate. 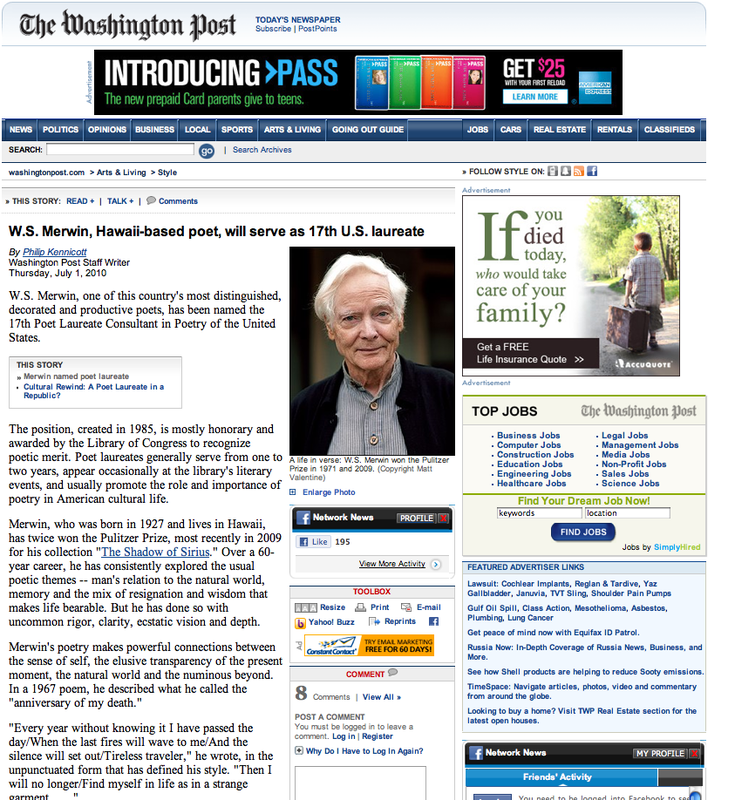 My photo of him was used in the Library of Congress press release, and has subsequently appeared in lots of media outlets, including the Los Angeles Times, the Washington Post, the London Daily Telegraph, the NPR website, CBS News, the St. Louis Post-Dispatch, PBS, and um . . . elsewhere. A few places credited the photo as “AP”, although I did not shoot it for the Associated Press. When I have some time, I’ll write at a little more length about wire services and photo credits.